The fourth annual Family Fun Adventure Challenge will be returning to Batavia Township this May. 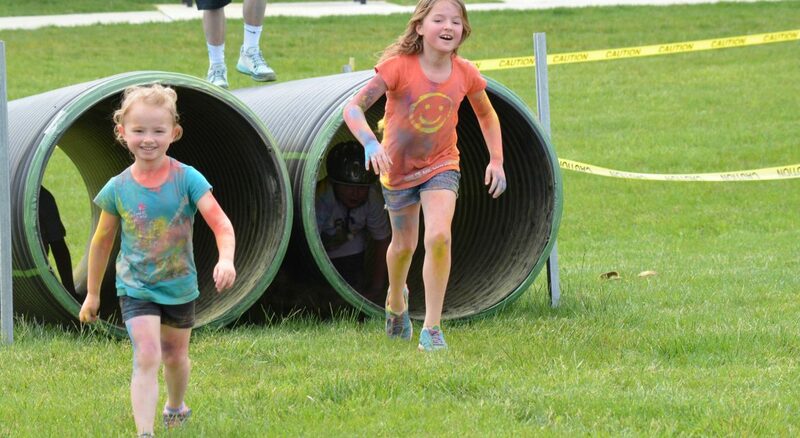 The one-mile obstacle course run/walk will take place on Saturday, May 11 at 10 a.m. at the Batavia Township Park at 1535 Clough Pike in Batavia Township. Registration for the event begins at 9:30 a.m. Participants can sign up and register for the event here. The goal of the challenge is to get families together to get some physical activity in a fun and engaging way. The run/walk is designed for kids and adults of all ages and abilities. The majority of the course will be on the paved walking trail in the park, and any of the obstacles can easily be skipped if they are too difficult. This year, Clermont County Public Health is partnering with the Clermont Play, Learn and Grow Kids Fest. The Kids Fest will take place after the adventure challenge and will feature music, food, face painting, games and kids activities. The Kids Fest is hosted by Clermont County Family and Children First and the Early Childhood Coordinating Committee. The Adventure Challenge is hosted by Clermont County Public Health, the Clermont Coalition for Activity and Nutrition and Batavia Township.